SMITHTOWN, New York (WABC) -- A man and his dog are back on dry land Saturday night thanks to rescue crews on Long Island. 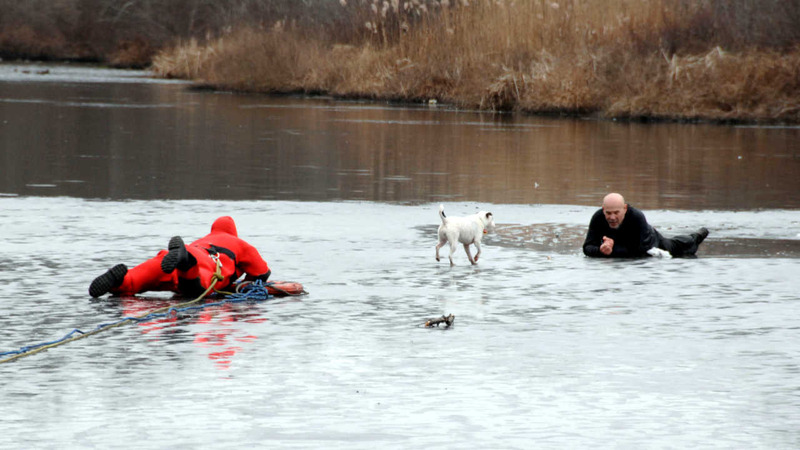 Officials say the man was playing with his dogs in Smithtown when one of them ran onto a frozen lake. The owner tried to retrieve the pup, but fell through the ice. Suffolk County Police and park rangers responded, and pulled the pair to safety. The dog was uninjured, and the man was treated for hypothermia at a nearby hospital.